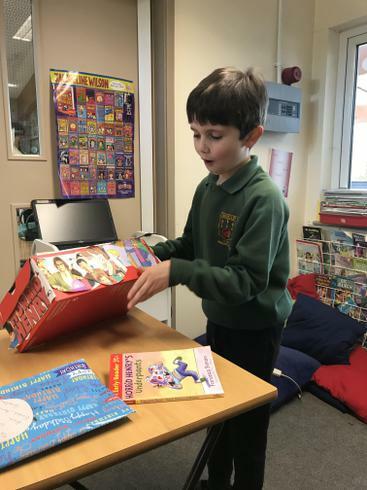 Our final book in a box today, and a wonderful end to our term of presentations! 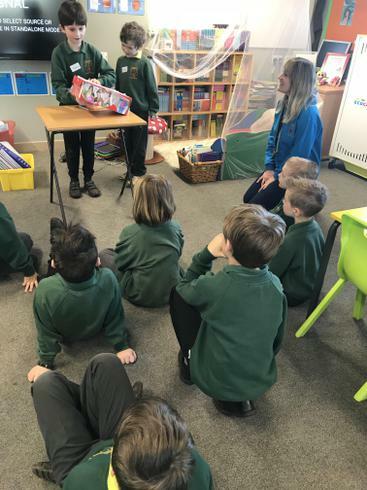 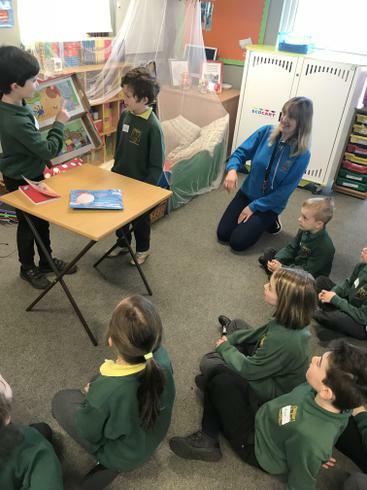 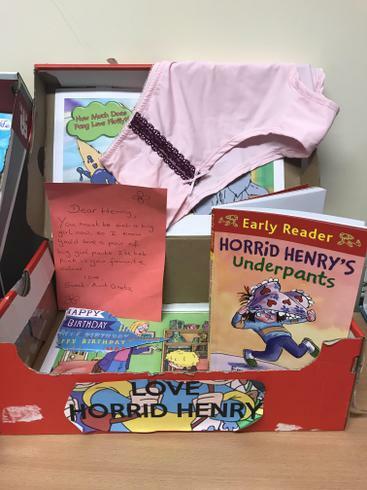 Thomas said he chose 'Horrid Henry's Underpants' because he thought it would be hilarious; and it certainly got a laugh from the class when Thomas and Arthur opened the present to reveal some very pink frilly knickers! 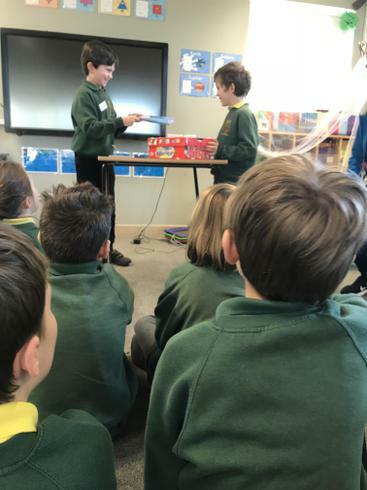 Thomas had clearly spent a lot of time on his book in a box and he presented it with great excitement and enthusiasm (with help from a fantastic friend, Arthur). 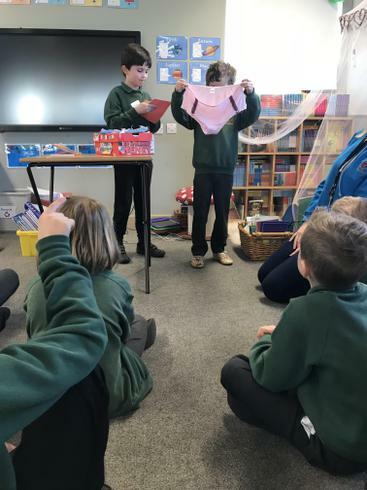 Well done Thomas, you were very brave and should be proud of yourself.